Once upon a time, one of our student workers wrote a paper asserting that people don't only find fulfillment in their jobs because of the work they do, but also from the people they do the work with. No truer words have ever been spoken. I may have mentioned before that my workspace is not just "my" workspace. I work in a room full of cubicles and other women. I refer to us as the "cubicle ninja ladies (CNL)." (Technically, there's also one man in an office attached to our cubicle room; a man who I'm pretty sure mostly wishes he could be anywhere else.) Anyway, when we're at full capacity, there are eight women in the room at once. And as you can imagine, the conversations are interesting, to say the least. Lately, the conversation has revolved around *Shoshanna and her recent foray into the world of online dating. (Actually, it's probably more accurate to call it "phone app" dating. I think she's been using Tinder.) Shoshanna is the life of the cubicle room. She's that kind of person who finds the humor in every situation, so she keeps us laughing all day long. Anyway, Shoshanna has been looking for her Mr. Right and it's been very entertaining for the rest of us. Shoshanna: He's cute in the pictures where he's wearing a cap. But he's not cute without a cap. Phoebe: Wow, you're so picky. Brooke: Just make him wear a cap to bed. Shoshanna: "I think he's still with his baby mama." Me: "Okay, that's a legitimate reason to stay away from him. Shoshanna: (Talking about how she and the dude look relative to their ages. He looked much older than he really is.) "I'm pretty and he's not pretty. He doesn't look like me so I don't like him." Phoebe: "You don't like him because he doesn't look like you? That's how genocide starts." 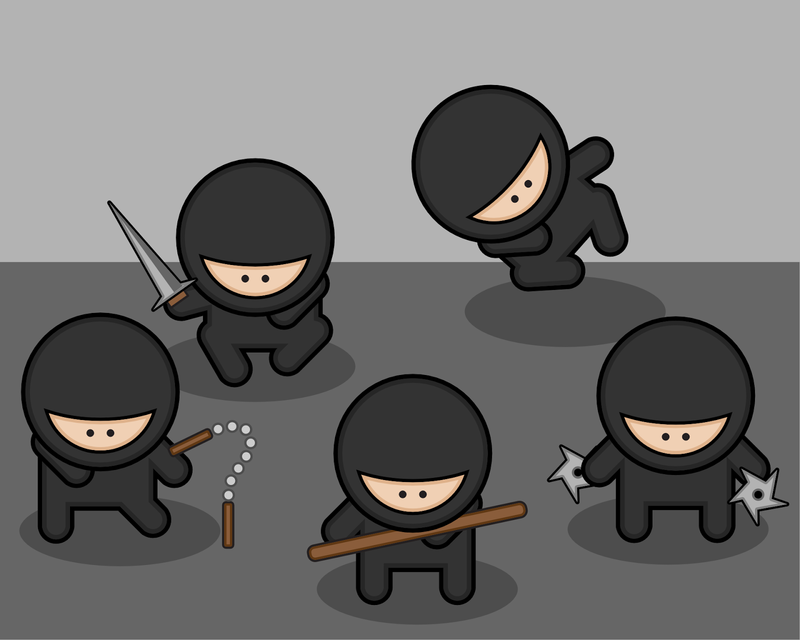 I love my cubicle ninja ladies. *Names have been changed to protect the, um, innocent. The, um, innocent specifically requested to be called these names. (Except Phoebe. She wasn't around, so I had to assign her alias. All I could think of was "Princess Consuela Banana Hammock" from Friends. Since that was Phoebe's line in the episode, I decided to go with Phoebe.) There will be future stories, I'm sure, that include the rest of the CNL crew: Leah, Poodle and Kami.